23 people recently viewed this vehicle. Leather Seats, 20 inch Aluminum Wheels, Tri-Fold Hard Tonneau Cover, Driver Alert Package II! 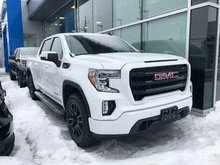 Hurry in, GMC's winter sales event is now on! 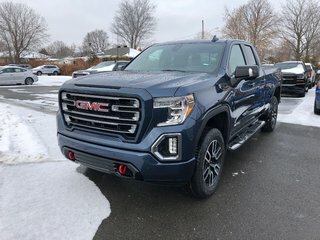 Sharper, more capable and entirely intelligent and innovative, this 2019 GMC Sierra 1500 is unlike any truck you know. 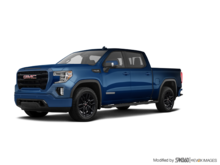 This redesigned Next Generation Sierra 1500 stands out against all other light-duty pickup trucks pickups with sharper, more powerful proportions that create a commanding stance on or off the road. 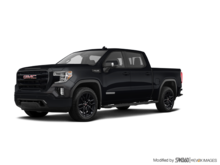 This Sierra pickup elevates the driving experience with comfortable seats that offer a taller, more commanding view of the road and the latest in innovative technology. Enhance your experience with this amazing truck with convenient, simple and highly intuitive features that help you stay connected while you're on the go. This pacific blue metallic 4X4 pickup has an automatic transmission and is powered by a 5.3L V8 16V GDI OHV engine. Motivated by that strong motor it gets 15.3 L/100 km in the city and 11.8 L/100 km out on the highway according to Transport Canada. Our Sierra 1500's trim level is AT4. Experience this truly capable and luxurious GMC Sierra 1500 AT4. 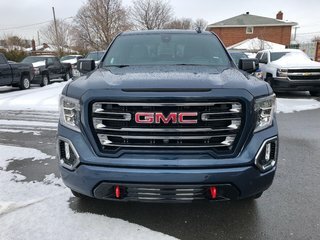 It comes readily equipped with full LED lighting including headlamps, brake lights and fog lamps, power adjustable heated mirrors, a GMC MultiPro Tailgate with six functional load/access features, a premium GMC infotainment system with an 8 inch display, Apple and Android connectivity, SiriusXM, GMC 4G LTE, heated front seats with power adjustment, a heated leather wrapped steering wheel, perforated leather seat trim, keyless entry and engine start, cruise control, drivers memory package, dual zone automatic air conditioning, an auto dimming rear view mirror, rear electric window defogger, an HD rear view camera, hitch guidance, GMC connected access, and much more. This vehicle has been upgraded with the following features: Leather Seats, 20 Inch Aluminum Wheels, Tri-fold Hard Tonneau Cover, Driver Alert Package Ii. Total rebate of $5300 is reflected in the price. 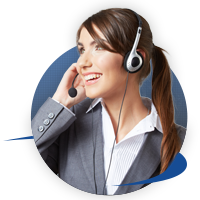 Credit includes $1900 Delivery Allowance and $3400 Non-Stackable Cash Purchase Assist. Credit is available in lieu of subvented financing rates. Buy this vehicle now for the lowest bi-weekly payment of $446.28 with $0 down for 84 months @ 5.79% APR O.A.C. ( Plus applicable taxes - All Additional Fees included ). Incentives expire 2019-01-31. See dealer for details. 5.3L ECOTEC3 V8 - 8 cyl. 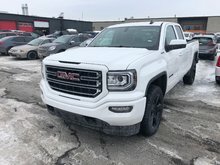 Interested in the 2019 GMC Sierra 1500 AT4 ? $43,684 * Plus HST and licensing. Freight & Fees Included. $61,714 * Plus HST and licensing. Freight & Fees Included. $60,749 * Plus HST and licensing. Freight & Fees Included. $58,084 * Plus HST and licensing. Freight & Fees Included.